My interior lights, radio, power side mirrors, and power locks do not work. When the key is in the ignition the power door locks only open they do not lock. I replaced the timing module, and checked the fuses. I heard the the ignition switch might have something to do with it. I already check the fuse and the relays under the hood. I want to know if that was the problem or if anyone had any ideas that could help me out. If all interior lights, radio and power mirrors do not work, you need to check fuse #12. Everything is run through that fuse. As for the door lock, try cleaning the solenoids using some electrical cleaner. Over time, you have a lot of buildup in the solenoid. I had to replace two solenoid in my wife's car because of that. Hello, did you check the fuse circuit for voltage, even if the fuse is good, if there is no feed it won't matter. Fuse 12, 10 amp for radio and dome lite, should be hot all the time. Did you check that the fuse circuit has voltage? Zackman posted a diagram, did you check that fuse box. I think it could be the ignitions witch because I looked at the wiring diagram and if one leg of the switch is not working it will cause this problem. Here is a guide and the wiring so you can confirm the failure test the black and orange wire. Check out the diagrams (below). Please run this test and get back to us. Yep, that was the problem I run the test and found no power coming out of the switch so I replaced it all fixed! Thanks for your help I love this site. Nice work, we are here to help, please use 2CarPros anytime. I have just tried replacing the stock radio with an aftermarket radio. I have done many of these in the past but have never came across one with an wire that had amp written on it connected to the stock radio. When I replaced it I wired the connectors up like I normally do and turned the car on and just left the amp wire alone. It seemed to have shorted some thing out and the after marked radio does not work, and when I hook up the stock radio it no longer works. Now when I try locking the doors the door locks go down and then go back up right away. Could there be an internal amp that I shorted out, which is why the radio wont work? The radio fuse has power on both sides of it. But also, what would cause the doors to act like that? Are they some how linked to the radio or the internal amp if there is one? Thank you. Was the wire black/yellow? I cannot find any "Amp" wires in the diagram, there is one that is "parking lamp" that goes to the headlight switch. There is also a "radio choke relay" behind the dash, and to be honest I have no idea what it would do. Might need to go to a stereo shop and ask a few questions. Cannot determine why my radio will not work. Fuse is good. Replaced Dodge Ram factory with CD player some three years ago. As quality lessened (reception) decided to put original factory installed radio back in in its place. Worked fine. One day, quit working. Tried old CD player radio. Would not work either. Fuse is good. Cannot determine cause. As evidence of my unemployment, I feel I can only donate $10.00. Further evidence of my unemployment and limited income is my 1998 Dodge Ram with 408,000 miles. I appreciate your help so much and will gladly donate more as income allows. Check for power on connector C1 terminals 6 red/white wire 7 pink wire. I am, unfortunately, very green when it comes to electronics. I found a set of wires that plug into the radio. They are junctured together with a gray plug that plugs into the back of the radio. There is a pink wire and one that is red and white (both colors on the same wire). There is not a separate white and separate red. Nor is there any of the three colors on the other wires that go into another plug (black in color ) that also plugs into the radio. I put a circuit tester on the pink and the white and red one, but did not get a light (with the accessory switch/ignition on). 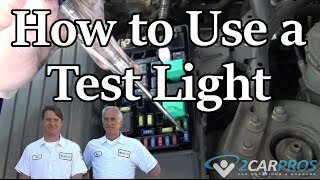 I am assuming that I am grounding the test light properly? Grounded to door hinge on driver's side door. Thanks much for your help! It is a red wire with white tracer need power on both for radio to work. Check fuse # 12 in box end of dash a 10amp. I found fuse #12. It is a 10 amp. However, it is encased in a black, sort of like a clip or covering. Any other fuse, simply pull out. I was able to pull this fuse and the black cover/housing or whatever it is part of the way out. But I am afraid to keep pulling, seems like I might break the black thing. Too, the black thing is blocking the view of the fuse to be able to determine whether it is blown or not. Do I muscle it out or is there a secret to removing it? Thanks so much. Is this a Chrysler original radio? If so, which model do you have. Have you tried anything else that normally works in the accessory position such as the wipers or heater fan? You got me never seen a black thingy on a fuse. Yes it is a stock radio. Do not know model number. It has CD, cassette, the wipers and heater will shut off if they are being used, when key is in off position and removed radio is still on I use power shut off on radio to turn it off. All other accessories will turn off. FYI. I got the fuse out, the #12 fuse, as you instructed. The fuse was blown and I now have power/current to the pink wire as well as the red with the white tracer. Thank you so very much for your guidance, instruction and input. Just so you will know. There are a total of three fuses in my fuse box that have some type of plastic cover or, kind of like a clip over them. Two of them, I cannot remember what they serve or what number. They are are right next to each other and have identical yellow clips or covers over the fuses. The other one is fuse number 12. But it has a black clip/cover. I pulled hard with a pair of needle nose and it finally came off and brought the red, 10 amp fuse with it. The fuse was down inside of the clip and the clip had two long legs, about 3/4 of an inch that reach down into and seat into holes/slots in the wall of the fuse panel. I have no idea why 12 has this cover. I am not sure if I was able to convey the description very well, but wanted to try. It was a bit confusing and baffling. But, again I replaced the fuse and now have power and once again thanks so much! I buy, sell, and repair a lot of radios at the nation's second largest old car show, and the Chrysler CD/cassette combo radio is by far my most popular model because of its very high quality. Sorry to say though, of the common problems, this is not one of them. I would be happy to look at it for you, but I have a feeling the problem is not in the radio. There is an easy test to perform first. Pull the radio out and unplug it. Then use a voltmeter or test light to check for voltage in the gray plug. There will be a pink wire on the end away from the keyway. It should have battery voltage all the time. The next wire is red, and it will likely have a stripe. That wire must not have battery voltage until the ignition switch is turned on. If it does, the cause must be found in the wiring harness. If the voltage goes to 0 volts when the ignition switch is off, there indeed must be a problem in the radio. With all the circuits being complicated unnecessarily with unreliable computers, it is hard to tell what could work if the radio power circuit remains live. Overheated wires melted together at the ignition switch connector are a possibility but other systems should remain on too. That is unless they also need to have a computer turned on to operate. That might apply to the wipers, but the cigarette lighter is on the same circuit. I do not think the silly engineers added a computer to he lighter, yet, so to be safe, try the lighter when the ignition switch is turned off. If it works, check the ignition switch and wiring connector. Great, I will look into the black cover thing see what I can find out. When I do I will give a shout. Why Won't The Radio, Gages And Engine Work?